Marijuana, oftentimes called reefer, grass, pot or weed, is the street name for the parts of the Cannabis sativa plant that are dried and mixed. This includes the seeds, leaves, stems and plants. Marijuana is an illegal drug in the United States, yet the most commonly used with over 17.4 million users according to data collected by the National Survey on Drug Use and Health. The active ingredient in marijuana is THC, also known as Delta-9-tetrahydrocannibinoid, which is the ingredient that causes the pleasurable effects. When marijuana is smoked, it goes quickly from the lungs into the bloodstream and then goes through central nervous system and the body. Once inside the brain, the smoker feels the pleasurable effects that come with marijuana usage. Even though marijuana produces some relaxing and pleasurable effects for the user, it also causes problems with balance, memory formation and coordination. In large doses, marijuana can cause acute psychosis. In addition, the smoke and gasses are harmful for the lungs. Marijuana has the potential to cause cancer in the respiratory tract and lungs because the carcinogens and irritants in marijuana are 70 percent more than the smoke from tobacco. If used long-term, marijuana can be very addictive. Some people who smoke marijuana habitually become dependent upon it and cannot stop. Estimates show that up to 10 percent of people smoking marijuana regularly will become addicted. Chronic use is linked to severe withdrawal symptoms similar to those of nicotine withdrawal. 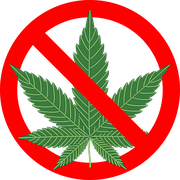 If you have discovered that you can’t control your marijuana usage, and if it is causing a problem with your social relationships, home life and fulfillment of your family obligations, you are probably addicted to marijuana. There are professionals who are trained and compassionate who are ready and willing to help you rid yourself of your addiction. Inpatient treatment centers know that the key to living a full and happy life for a person struggling with a marijuana addiction is to learn new coping mechanisms and adaptive behaviors as well as understanding the disease of addiction. At an inpatient facility, members of the staff are used to dealing with addictions and are dedicated and committed to helping you overcome your marijuana addiction. When you go to an inpatient facility, the staff will take the time to get to know you personally so that they understand the struggles you are facing. They understand just how uncomfortable the recovery process is for an addict, and they will work side by side with you to make sure you have an effective treatment plan that works for you. They are always there with a shoulder to lean on when you need them. Once you arrive, you complete an examination to determine if you are struggling with other problems and to determine what level of dependency your body has with marijuana. At this point, your treatment program will be discussed and next steps determined. Most inpatient treatment centers have a strong focus on group discussions so that you can learn a lot from others who are going through similar problems and suffering from addictions. The focus is usually on a specific topic such as addiction, co-occurring disorders and relapse prevention. Because most people come from a larger family system, your loved ones are invited to take part in your recovery process. Family group discussions are offered so that your loved ones can see your progress and enjoy how far you have come in your journey to sobriety. Inpatient treatment centers will be happy to educate the ones you love on addictions. You will also have the opportunity to have one-on-one discussions so that you can share your personal struggles in a one-on-one environment. Here you can discuss the program you are going through, the successes and problems with coping strategies and relapse prevention. The aim is to treat the whole person – the body, mind and spirit. As your time in the inpatient treatment center comes to an end, they will work with you to come up with a good aftercare plan that suits your needs. Some people benefit from outpatient programs and partial hospitalization programs. Others do well going to a home that uses community resources and outpatient treatments. Whatever your next steps are, the treatment facility is behind you all the way and ready to help. If this sounds interesting and like something you need, don’t hesitate; you can easily find an inpatient treatment facility in your area. A quick search on the Internet can help you find a drug treatment center nearest to you.